These little rolls are positively addictive. The key to success is in the tapioca flour which can be found in the gluten free section of the grocery store. 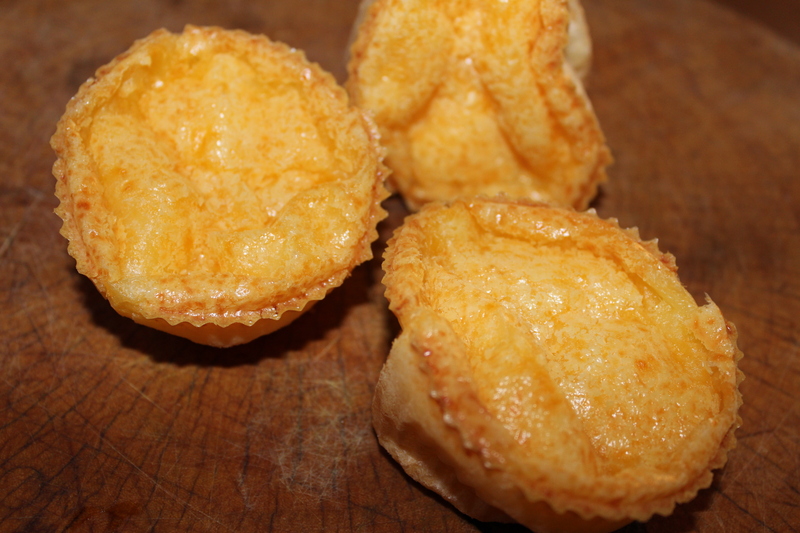 The tapioca flour creates a crispy exterior and a moist chewy interior, similar to popovers. I use silicone muffin cups instead of a muffin pan, you are guaranteed they won’t stick – if you do use a muffin pan, make sure they are very, very well greased. This batter can be made ahead and kept in the refrigerator a few days which allows you to make just as many as you need since they are best right out of the oven. 4 ounces grated cheese (about 1 cup) use Parmesan, Monterey Jack or shredded Mozzarella or a combination. This entry was posted in Recipes and tagged Blender, Brazilian, cheese, Gluten-Free, rolls, tapioca flour. Bookmark the permalink. Ooooo, yummy lovely. Thanks! Hope you and your family are well and enjoying the beginning of 2014. Happy New Year!